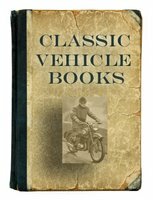 This selection of general classic Spanish bike books covers the history and development of the Spanish motorcycle industry, Spanish makes and models. 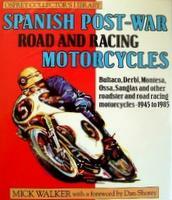 Spanish Post-War Road And Racing Motorcycles by Mick Walker (1986). A good look at Spanish racing motor cycles, Bultaco, Derbi, Montesa, Ossa, Sanglas and others from the period 1945 to 1985.